Should you wear your nationality on your sleeve? When I started to travel I realized that I was a representative of Canada. It wasn’t just because of my passport or because of the maple leaf on my backpack, but it was the first question when I would speak to someone. My first travels on my own were to Europe, where my accent was the first clue I wasn’t local. I was initially presumed to be American, but when I said I was Canadian, I was treated very differently. It is still a badge of honour to be a Canadian traveller, to know that nearly every other country on earth welcomes you with open arms. Its not that I was given perks or even discounts, but that another traveller’s view of me was welcoming, and the assumption was made that I would be friendly, honest and curious. As I would meet travellers from all over the globe, I was always impressed by the Brits, who would travel anywhere they could, and the Aussies and Kiwis, who would not just travel anywhere, but would keep going for months longer than anyone else. 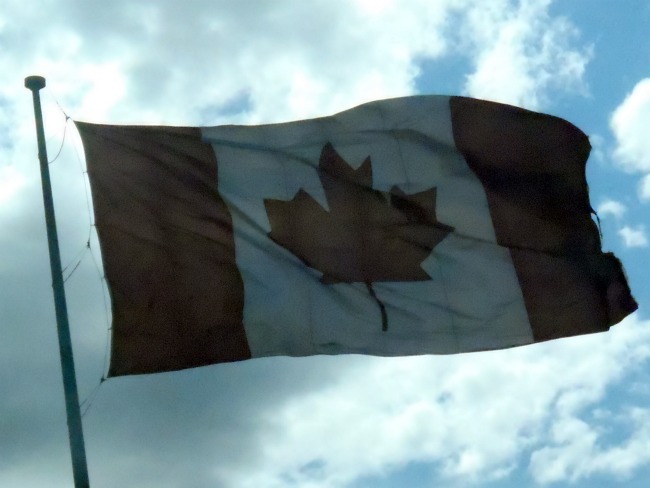 Meanwhile, I began to realize that they in turn envied me, since there was no bias with my country – although we all know stereotypes are usually not easily applied, the Canadian stereotype of being unfailingly polite was one that I happily let continue. And as I eventually learned, other travellers, especially Americans, would often pretend to be Canadians, since the stereotype of being from the United States of America wasn’t beneficial. As I continue to travel, I’m proud to be a Canadian, and I’m happy to carry the flag that we’re a friendly, polite, fun bunch of people and want to know as much about you as you do about us. « Do politics affect your travel plans?